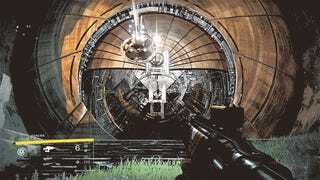 Destiny's Vault of Glass raid is easily the most challenging, interesting part of the game. The bar for entry is awfully steep—you need a coordinated team of six players, all level 26 or higher—but as it turns out, a fair number of players have cleared it. A group of us completed the Vault of Glass last weekend, and since then I spoke with lead designer (and Kotaku alum from way back) Luke Smith to get more insight into how Bungie put it together. (I'll have more from our interview on Kotaku soon.) After our conversation, Bungie sent along some up-to-date numbers on how many players had attempted and completed the Vault of glass. 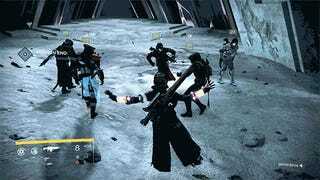 1,970,807 players have attempted the raid on normal difficulty. Meanwhile, 202,729 of those players have re-attempted the raid on its harder, level-30 difficulty setting. 36,181 have completed it on hard. Good work, folks. Finishing the raid, even on normal difficulty, is no small feat. It took our high-level, coordinated team a ton of time to figure out how to beat the final boss, in particular. Then again, just this week the raid was completed, astonishingly, by just two people. The Vault of Glass would doubtless be a lot easier if you read a walkthrough beforehand—more than half of our time was spent simply figuring out what we were supposed to do in each section. That said, if you haven't beaten the raid and want to help that 472,000 grow, I'd recommend playing without reading a guide. It's a much more rewarding way to go.